Symmetry presents a physics twist on the craft of cutting paper snowflakes. If you’re looking for a way to decorate for the holidays while also proudly declaring your love of science, symmetry has got your back. Below you’ll find templates for paper snowflakes with winners of the Nobel Prize in Physics incorporated into the designs. With the help of a printer, paper, an X-acto knife (preferably with some sharp replacement blades at the ready) and a cutting board or mat, you can transform your home into a flurry of famous physicists. Simply download the snowflake templates, print them out, follow the folding instructions, and cut out the gray areas, making sure to cut through every layer of paper (but not your fingers!). Then unfold the paper and revel in your creation. Practice makes perfect, but remember, no two snowflakes are supposed to be alike anyway. 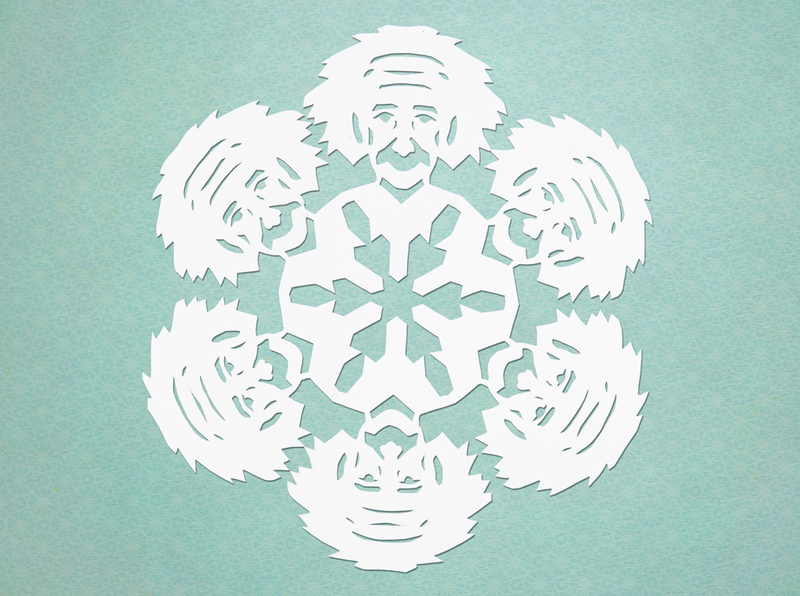 Energy and mass may be equivalent, but this Albert Einstein snowflake is beyond compare. 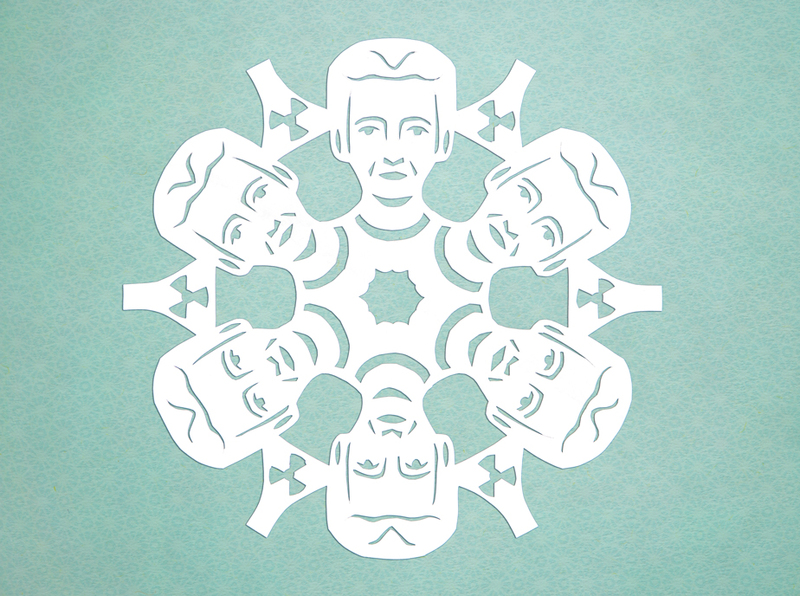 Double Nobel Laureate Marie Curie radiates charm in this snowflake design. 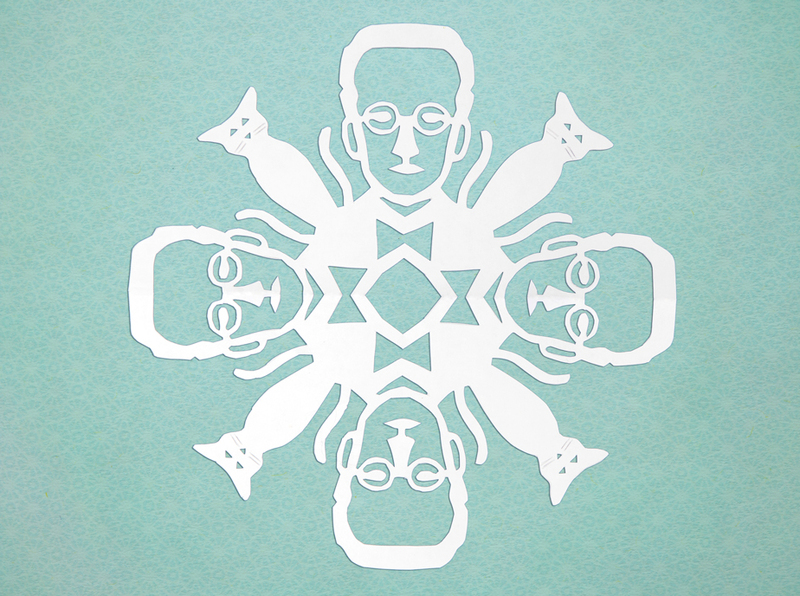 Is it an Erwin Schrödinger snowflake with cats on it, or is it a cat snowflake with Erwin Schrödingers on it? You won’t know until you make it. For advanced snowflake-making techniques, see our instructional video. Ever wonder if a particle collider could give you a faster way to cook your turkey, or how much antimatter it would take to power your holiday lights? This time of year, children who know their physics may start to question if Santa could possibly be real.